Portland firefighters were called to an apartment fire Sunday evening that started when someone dropped a match while trying to light a candle. 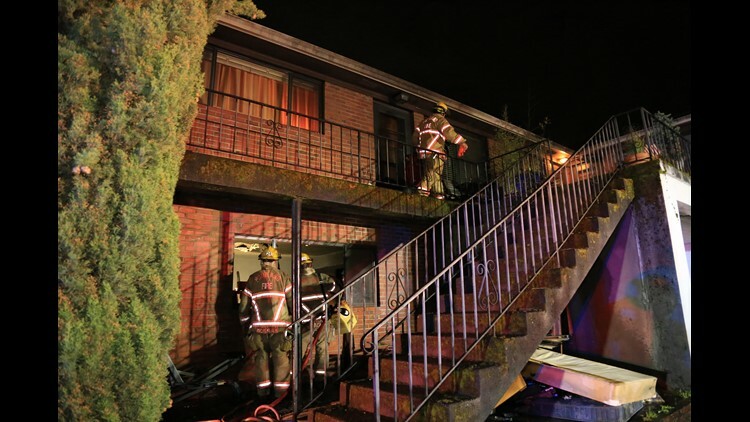 PORTLAND, Ore. — Crews were called about 10:20 p.m. to an apartment fire on the 7600 block of North Interstate Avenue. On arrival they found a bedroom in a ground floor apartment on fire. Firefighters checked and found that the people who live there had gotten out and were not physically injured. The damage was contained to the bedroom, and no other apartments were affected. Two people who live in the burned apartment will be displaced. The Red Cross is helping them. The fire started when one of the residents dropped a match while trying to light a candle. Portland Fire & Rescue says to use extreme caution when dealing with open flames, such as candles.